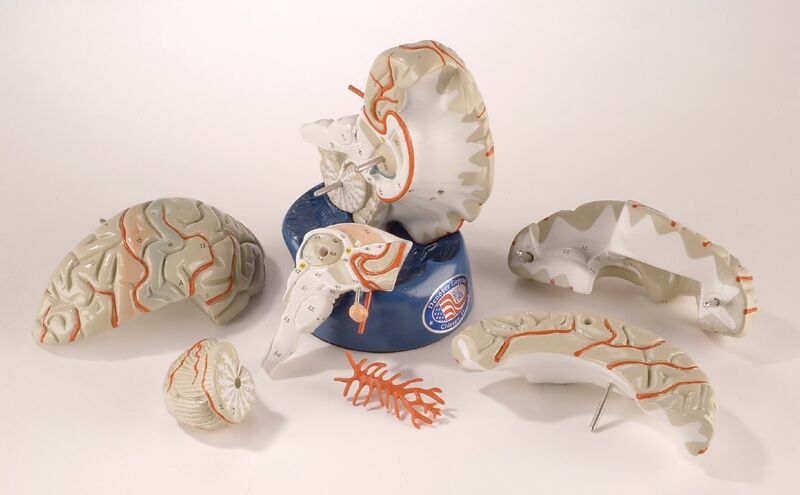 The arterial blood supply complete with termini of the internal carotids, basilar artery, and Circle of Willis are seamlessly incorporated into this realistic brain model. The right hemisphere divides in two, while the left splits into four segments, including half of the brain stem and half of the cerebellum. Also detachable are the pituitary and the basilar artery. Cast in unbreakable vinyl plastic, the model rests on its molded display base, permitting simultaneous observation of the superior, inferior, and lateral aspects. 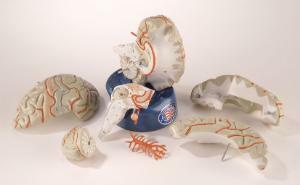 The brain also easily lifts off its base for disassembly and hands-on study. Also includes reproducible illustrated copy masters.